Topics: Portfolio, Affiliate Program, Ecommerce Solutions, Adsl Broadband Internet, and Domain Registrations. The estimated 82 daily visitors, each view 1.10 pages on average. africanallsorts.com Dynacomm - Domain reserved. The programming language environment is ASP.NET. Web Africa Cape Town Data Center Allocation 2 Cape Town is the location of the Microsoft-IIS/6 server. Its 2 nameservers are ns2.wadns.net, and ns1.wadns.net. PING www. (196.220.60.100) 56(84) bytes of data. 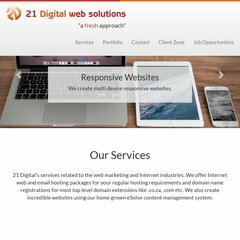 Website load time is 2202 milliseconds, less than 67% of other measured websites. As well, a ping to the server is timed at 273 ms.